Milbery & Kesselman, CPAs, LLC, a Fort Lauderdale CPA firm provides audit and assurance services to a wide variety of small businesses and non-profit organizations. 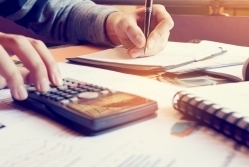 Stockholders, creditors, and private investors often need assurance that the financial statements accurately represent the true financial position of a company. Our experienced and knowledgeable staff is committed to providing audit and review services with integrity, objectivity, independence and strict adherence to all professional standards, regulations and laws. An audit provides the highest level of assurance. An audit is a methodical review and objective examination of the financial statements, including the verification of specific accounting documents and information as determined by the auditor or as established by AICPA professional standards. Call us today at 954-583-3223, ext. 101 and ask for Jack Milbery or request a free consultation through our website to discuss your audit and assurance needs with an experienced Fort Lauderdale CPA.